Combined into one volume, this is the definitive collection of Tolkien's five acclaimed modern classic 'fairie' tales in the vein of 'The Hobbit', read by Derek Jacobi. The five tales are written with the same skill, quality and charm that made The Hobbit a classic. Largely overlooked because of their short lengths, they are joined here in one volume which reaffirms Tolkien's place as a master storyteller for readers young and old.  Smith of Wootton Major journeys to the Land of Faery thanks to the magical ingredients of the Great Cake of the Feast of Good Children. 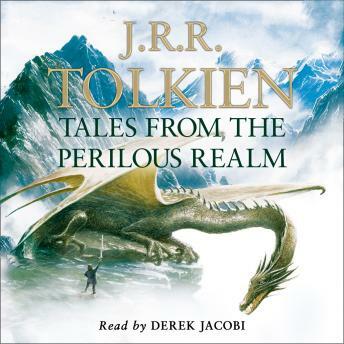 Taken together, this rich collection of work from the author of The Children of Húrin will provide the reader with a fascinating journey into lands as wild and strange as Middle-earth.